I've been feeling shite (and yes - sorry for myself too!) for the past two weeks since returning from New York. Coughs, sneezes, aches, snot, tissues, lack of sleep - all have been part of my life for the past few days. Consequently I didn't feel like blogging, so I sulked away from my computer. 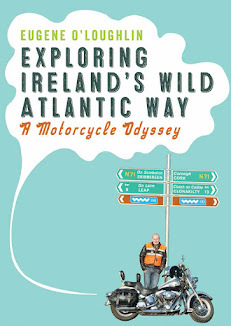 One good piece of news to report on is that my new book, Exploring Ireland's Wild Atlantic Way is finished and is now in the proofing/final editing stage. No exact date for publication and launch, but I expect it will be in April, maybe May. I'm excited that this project is near completion, and I have been tweeting some of my unpublished photos every day for the past few weeks. More about this soon!